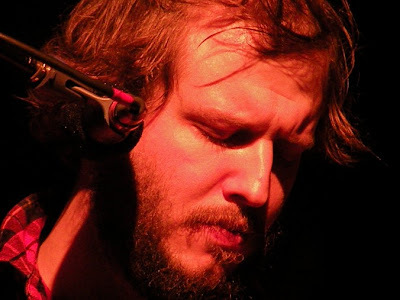 The Stark Online: New Bon Iver mp3 "Blood Bank"
New Bon Iver mp3 "Blood Bank"
We wrote about Bon Iver's upcoming Blood Bank EP awhile back. Some have been calling it his victory lap EP - but honestly, doesn't he deserve one? We caught him with Vince's #1 artist of the year Tallest Man, several weeks ago at Town Hall, and it was good - not great. MHOW was MUCH better. Here is the title track from the EP, enjoy. Blood Bank comes out Jan. 20 on Jagjaguwar. Tour dates for our Aussie readers after the jump. Don't laugh, we actually have a lot.